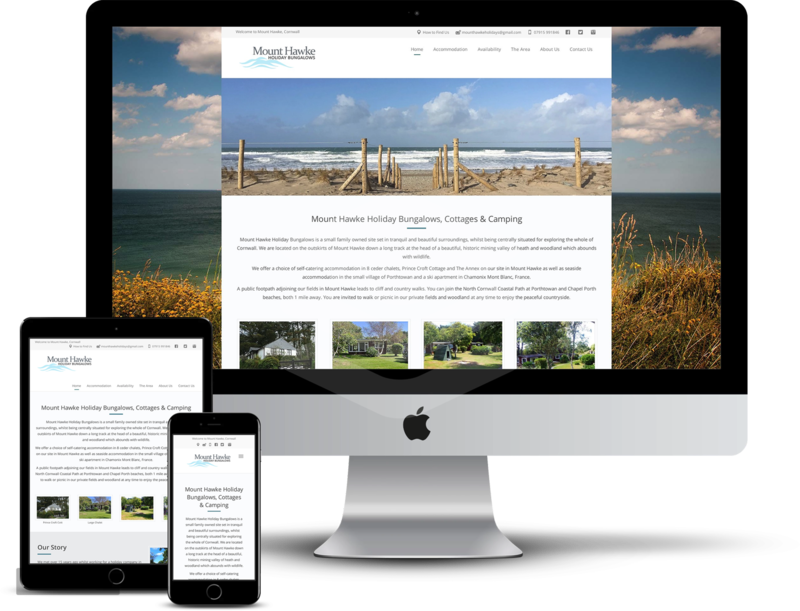 Based in Cornwall we boost over 15 years’ experience in the holiday accommodation and website development industry, which enables us to offer an experienced and knowledgeable approach to building the perfect website for your holiday accommodation busniness. Whether you run a self-catering property, bed and breakfast, hotel, campsite, holiday park or glamping site, let us help you achieve its full potential. Perhaps you already have a website you feel needs a freshen up, or maybe you don’t have one at all – you may even be completely new to the holiday rental industry. We will produce a website that showcases your accommodation to the high standard that it deserves. 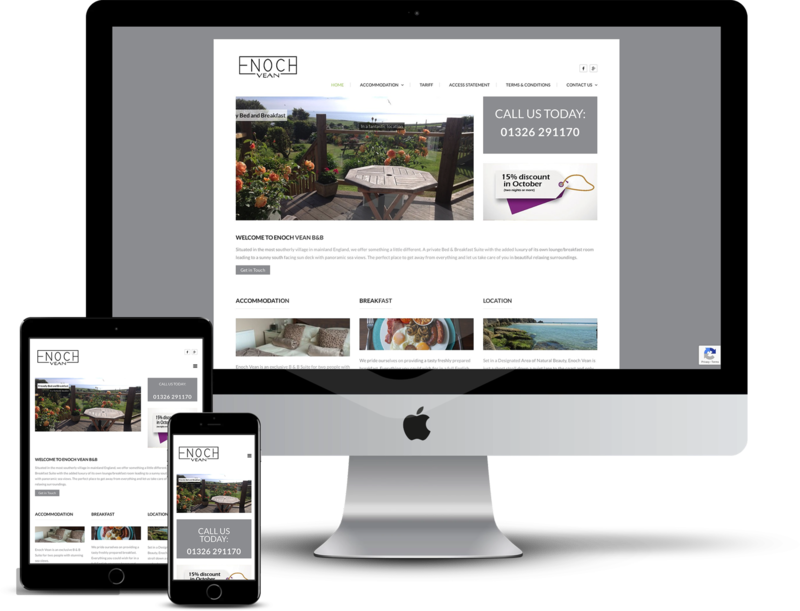 Are you looking for a fresh new look for your holiday accommodation website? Our website package is a simple and a low cost way to give your holiday accommodation a professional looking online presence. A modern, clean looking website will give your guests added assurance that as accommodation owners you insist on the very best of standards. All our websites can be incorporated with booking management software for syncronised availability. 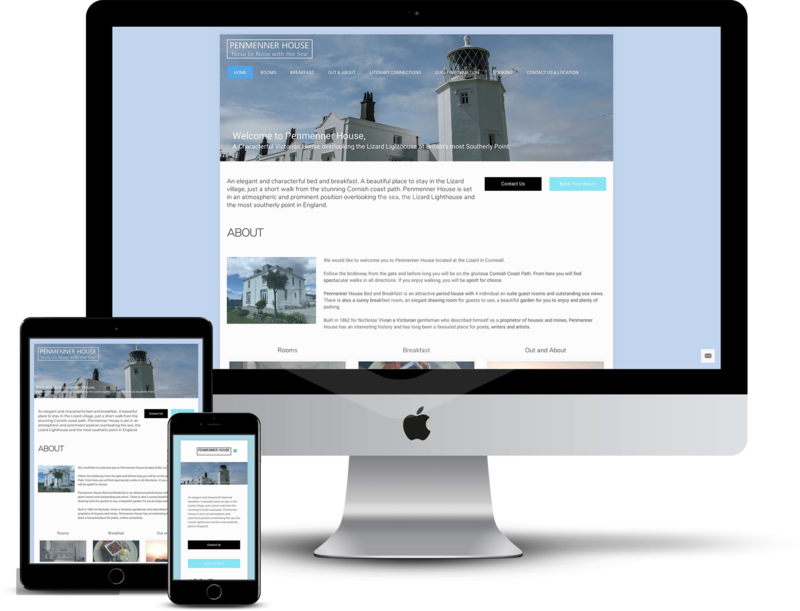 Our websites are designed for small and large screens which mean’s that whether your website is viewed on a mobile, tablet or desktop computer your site will always look attractive. We create search engine friendly websites; as we believe that no matter how attractive your website looks, a fast loading search engine optimised site is critical if you want people to find you online. All our website are created in the world leading WordPress platform, each customised to match your business needs using Divi – The Ultimate WordPress Theme and Visual Page Builder. Home Page – providing a brief introduction of what you offer. Accommodation – details of the accommodation such as rooms, facilities etc. Plus photographs of the accommodation. Things to do – information about the local area and recommendations on places to visit and things to do. Location Map – Display an interactive Google map, the property can be pinpointed and the user is able to zoom in and out. Prices & Availability – providing pricing information and in most cases, availability. Clients have the choice to use a free basic WordPress Plugin which easy to update availability calendar. Or for best results we recommend integrating a full availability and online booking system, see our recommendation below. Contact us – a straightforward page geared to generating direct enquiries and bookings. All websites come with Google Analytics installed as standard, so you can track your visitors and learn more about how they use your site to increase your conversion rates. This service ensures your website is always up to date and fit for purpose, with continual changes to WordPress and Plugins let us manage this for you. Make your website a success with fast, reliable support. We can also arrange a commercial photographer and filmmaker, to shoot or film your accommodation – we recommend Ian Kingsnorth Photography. Price for this extra service starts from £200. If you are looking for an online booking system to help run your holiday rental business, we recommend Anytime Booking. Anytime Booking offer a fully-featured system which best supports campsites, glamping sites, self-catering holiday businesses or agencies, B&Bs and guesthouses. We understand that every project is different and will require an individual approach, so our prices are tailored to suit your needs. But the example below will give you a rough guide to our website design prices. We can also offer a monthly payment plan. Please contact us today for a free, no-obligation quote. Website Management: FREE for the first year after which there is a £40 yearly charge. Email Support: FREE for the first six months after which amendments to your website will be charged at £20 per hour. Website Hosting: FREE for the first year after which there is a £30 yearly charge. The first 3 months will need to be paid in full to act as a non-refundable deposit, this will cover the initial costs of the website build. You then won’t need to pay anything else until month 4. In the 4th month, the monthly payment instalments will begin and this will be paid for the remaining 9 months of the year. For example: You will pay £180 at the beginning of the plan, followed by 9 instalments of £60 between months 4 and 12, that’s a grand total of £720 for the year. *After the 12-month plan ends we charge £30 per month hosting fee as standard for all of our sites. Charming Bed and Breakfast overlooking the Lizard Lighthouse at Britain’s most Southerly point. Relaxed and friendly bed and breakfast located in the beautiful Lizard village. Situated in the most southerly village in mainland England, we offer something a little different. A private Bed & Breakfast Suite with the added luxury of its own lounge/breakfast room. If you have any questions or would like a free quote, please get in touch by filling out the contact form below, and we will get back to you as soon as possible.